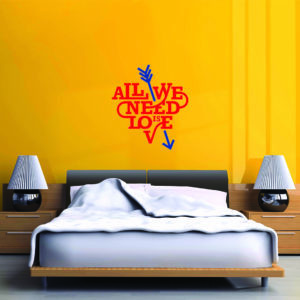 We are the place to shop online for quality but affordable wall decals, our decals are different to many of the other sellers, we focus on providing the best quality meaning that your decals can be used and reused time and time again over the period of years. 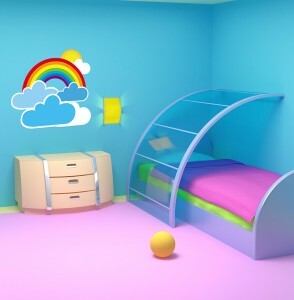 Our removable wall art is easily applied, can be cleaned, transferred to new walls in new rooms time and time again and wont peel off the wall as you will find happens with some of the cheaper decals on the market. The US Patented Adhesive Fabric Media we use is compatible with pigment, water based, solvent, eco-solvent, latex, and UV- inks. The patented wall decal material gives a vivid appearance with brilliant colours that will jump off the walls! The Adhesive is Removable , Re-usable and Re-positional wall art has unique characteristics separate it from all other products on the market such as vinyl or similar fabrics. Our wall stickers will stick to virtually any painted surface (in all weather and room temperature changes), and can be easily removed with a 99% guarantee the surface will be residue free. The material does not rip or wrinkle and is not required to be removed over a certain period of time.